South West Norfolk Pastoral Charge...We Are Linked In LOVE!! 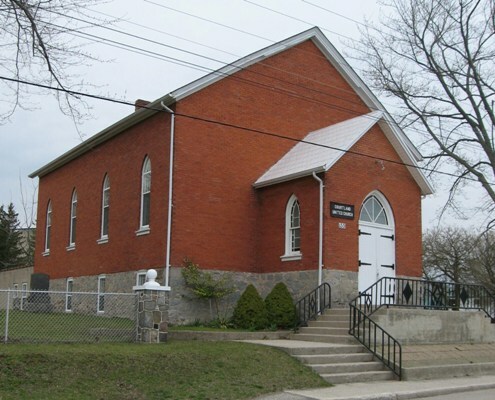 Whether you attend the Courtland United Church or Cultus United Church, you will be met with warmth and sincerity. We are a 2 point charge known as the South West Norfolk Pastoral Charge. We welcome ALL to join us on Sunday mornings, or anytime...for worship and friendship! Under the loving and brilliant guidance of our Minister Ted Smith, you will be enlightened and moved. Our Mission Statement: The South West Norfolk Pastoral Charge is called to be a Christian community empowered and inspired by the Holy Spirit and to follow the teachings of Jesus Christ. We are an Easter People. Let us proclaim the Good News! He is Risen! Christ Jesus is risen! Hallelujah! My beloved friends, I greet you, as promised from the other side of the Lenten wilderness, the other side of the cross, at the empty tomb, and yes the stone has miraculously been rolled away. He is risen. This is the beginning of the Easter season, the season of new life in the Christian church. This special event in history is why we are an Easter people and are called into being as Christians.
" We need to hear with our hearts, and hear with our souls." " Go to my brothers and say to them,' I am ascending to my father'". "This is what God continues to do", said Randolph, " The resurrected Christ calls us by name, and God wants us to do something. Easter calls us into knowing the risen Christ and making Christ known." The Easter life consists in finding our true identity in God and knowing God has given us a vocation, 'something to do.'" In the resurrection, we are opened to the fundamental truthfulness of Christianity: that, yes, God loves us and calls us by name; that God asks us to participate in the unfolding of divine beauty. In Christ, we find both our true selves and the reason for our existence. Randolph ended the sermon by leading the congregation in prayer... "Risen Christ, I want to hear you call my name....what do you want me to do?" Are we listening with our hearts and with our souls? Can we hear him calling? What shall we do as the Easter people of the South West Norfolk Pastoral Charge? Blessings from the Easter journey.......... Pastor Ted. Sunday April 21, 2019 Easter Sunday Is Here!!! INTROIT: “Behold! Behold! I make all things new beginning with you and starting from today. Behold! Behold! I make all things new. My promise is true for I am Christ the way” (MV #115). PRAYER OF RENEWAL: (Unison) Holy God, we sing your praise, for you have raised Jesus from the dead, and now all of life is permeated through and through with your resurrection power. We confess the times you startle us with your presence in the shut-down places of our lives— inviting us into hope where we thought nothing new could happen; pushing down the barriers we had put up to keep our lives safe and in control; connecting us with people we had labelled as strangers. What a strange, new world you are creating. Move us beyond our fears and our assumptions. Keep us awake and alert for signs that you are loose in the world. Then, give us the words you need us to say and the courage to say them when someone asks us about you. We pray in Jesus’ name. 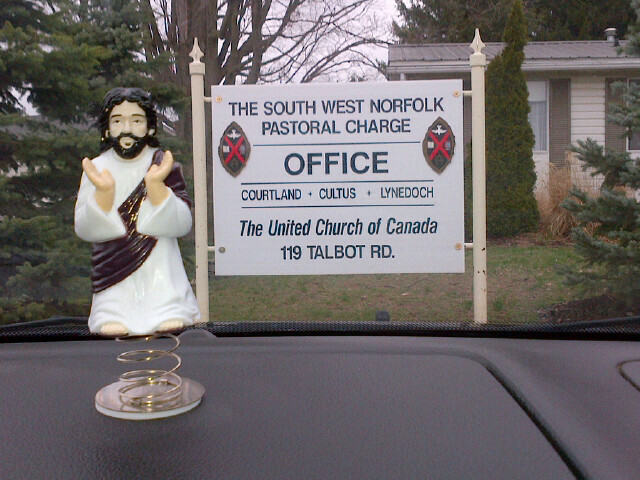 The South West Norfolk Pastoral Charge is a faith community inspired and empowered by the Holy Spirit following the teachings of Jesus Christ and showing this by our deeds and our actions.